Does anyone remember the arcade game where you stood on skis? I loved that game, and one of the interesting tracks in the game goes through a cave. 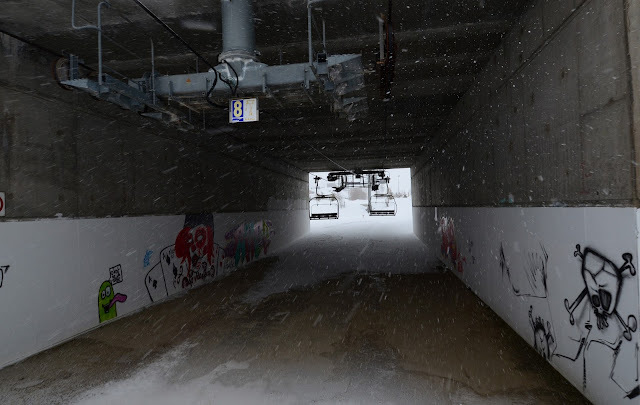 Ever since playing the game I have wanted to experience skiing underground. This week I was visiting Alpe d'Huez, France, and my wish was fulfilled. The "Le Tunnel" slope begins with a 200 meter tunnel through the mountain. And then continues as the most difficult black run the ski area has to offer. The experience was interesting, albeit not quite like in the game. The tunnel is very narrow, and has only a 3% downgrade. So there was no high-speed skiing. More like pushing myself through. The tunnel is at an altitude of 3000 meters. 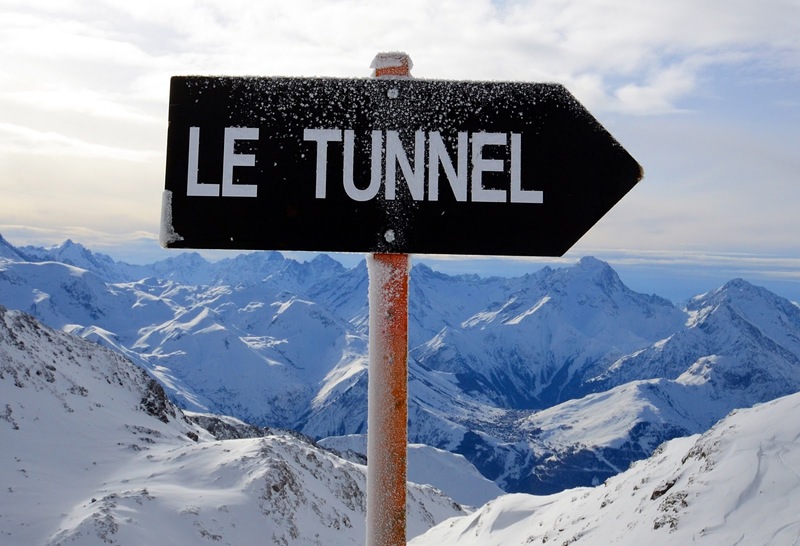 While Le Tunnel is man-made, Vallée Perdue in Val d'Isere, France, is all natural. An off-piste not suitable for the claustrophobic, as this canyon is so narrow that it ends up closing up above you in a couple of places. 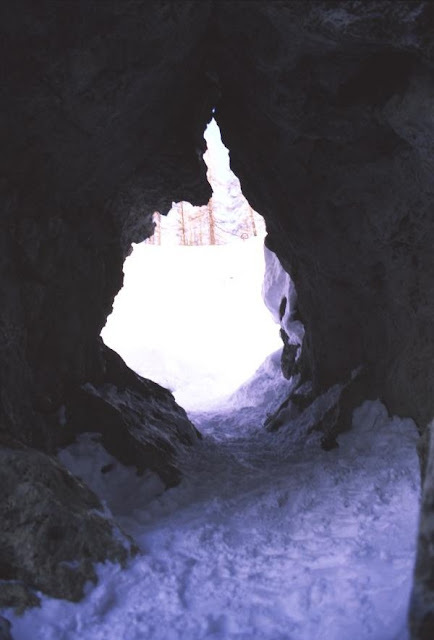 Eventually you have to ski through a short cave to continue the route. And climb a few ice falls. And if you are wondering about the skis and clothes, we skied this route a long time ago -- somewhere in the end of the 1990s. There are obviously plenty of tunnels to cross intersections or roads. Returning from the great after-ski at the Zoo Bar in Alpe d'Huez we spotted a skiable tunnel. (Hey! I had worked for twelve days straight before this weekend, so some after-ski was due.) 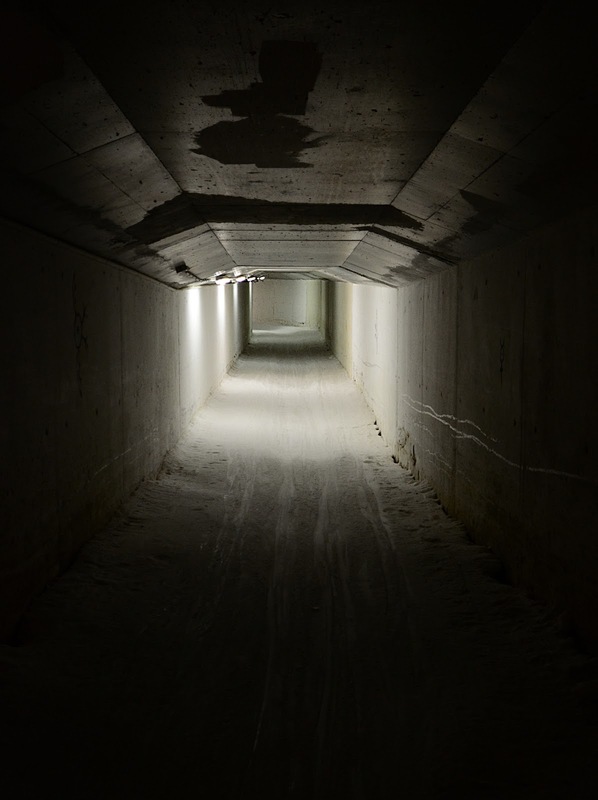 It turned out that the tunnel is a route to allow the skiers on the Village ski run reach the lower parts of the village by going under a hotel. Also, Alpe d'Huez sports another oddity: a chairlift that runs under an airport runway. The altiport (IATA code AHZ) has one downward-sloping runway that ends in a concrete block through which the ski lift goes. By the time the planes reach the end of the concrete block, they better be in the air! 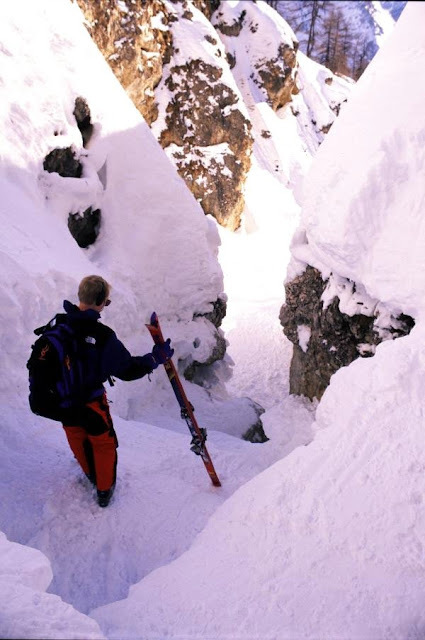 All in all, there's surprisingly small amount of underground skiing. I even asked Steve Duncan, an urban historian and underground explorer for hints. He didn't have any. 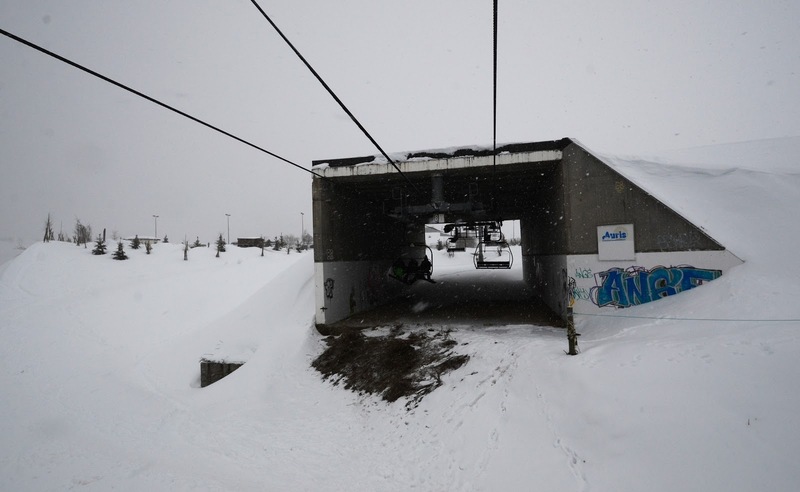 Is this really all underground skiing there is on this planet? Please tell me it is not so! 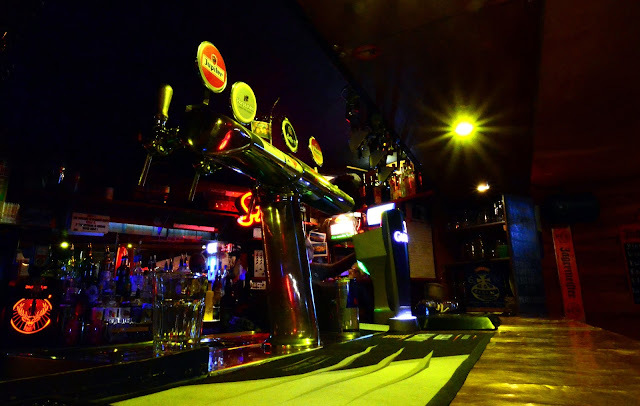 Photo and video credits (c) 1998-2013 by Jari Arkko and Jarmo Ruuth. The Chourum de la Parza video by Simon Christy and Steve's video by Andrew Wonder. 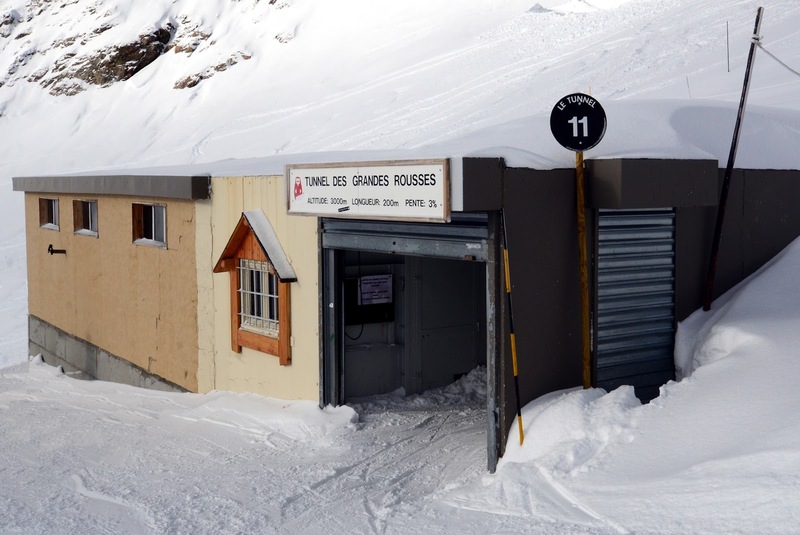 You asked about other places to do undergound skiing. In the nr 5/2012 issue of the swedish tourist assocation's (STF) magazine Turist there is a report from Tarfala next to Sweden's highest mountain Kebenkaise. 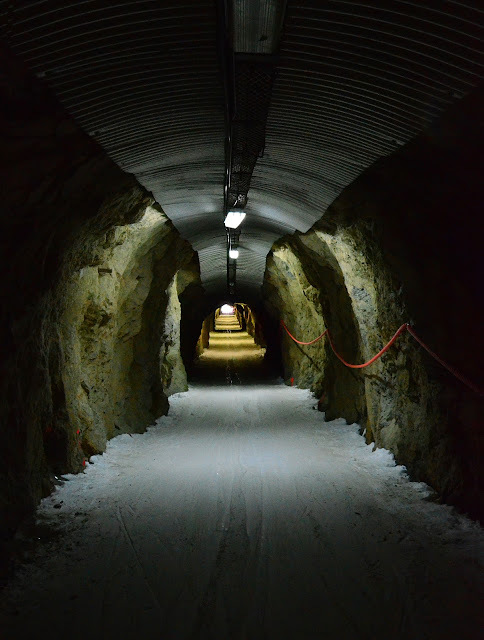 There exist an nearly 200m long ice tunnel "Hydrologrännan" which one can ski. STF arrange off-pist ski tours in the springs, this lift free areas so it is skiing both up and down. That is very interesting, Magnus! I need to go test that some day. Thanks!